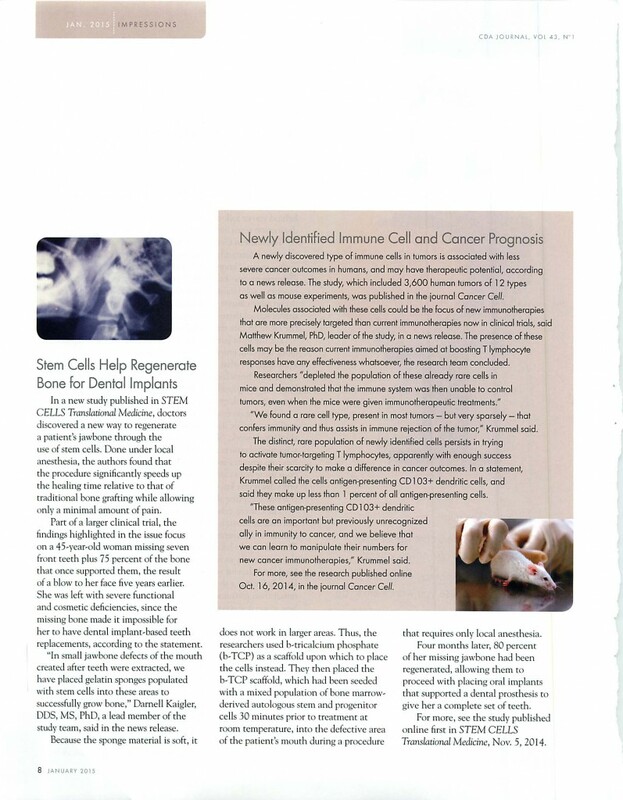 In a recent article published in Translational medicine (Nov 2014), there is mention of stem cells being used to regenerate new bone in patient’s jaw bone to place dental implants. We have been using stem cells in my practice for the past 2 years to improve the quantity and quality of bone for implant placement. This method is reserved for the more complex facial bone defects and is not used on a routine basis. Patients that typically undergo stem cell augmentation are doing so in preparation for dental implant placement. 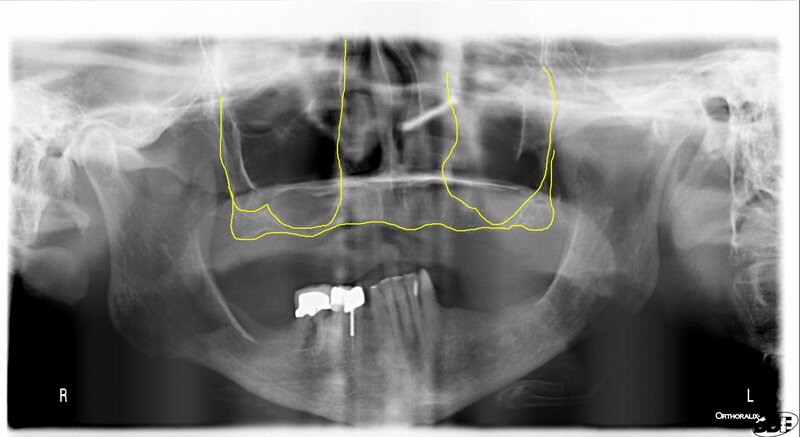 We have noted a greater amount of bone production and a higher quality (density) of bone during the implant placements. This method is especially useful for patients with pneumatized (large) maxillary sinuses, that lack bone in the posterior of the upper jaw, requiring “sinus lifts”. 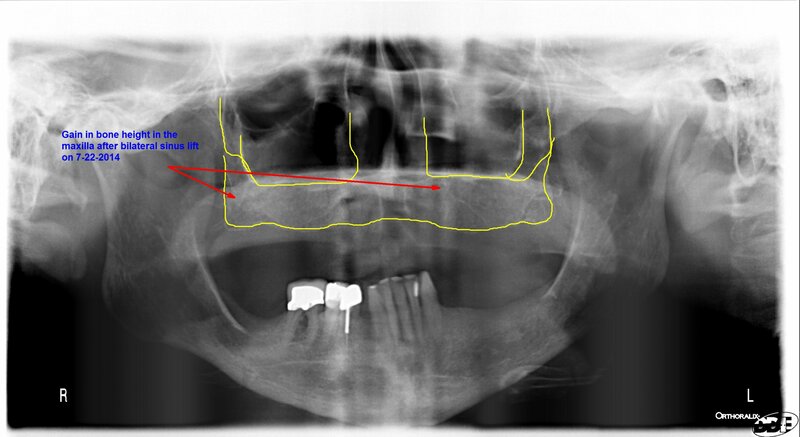 Below is patient that presented to me in 2012 for total rehab of her failing dentition. She desired a fixed solution to her missing upper teeth and did not want a denture. On her initial panorex, it is clear that she has large sinuses, without adequate bone to place any implants in the posterior of her upper jaw. Hence she underwent stem cell grafting of her maxillary sinuses. Please note the increase in bony height at the bottom of her maxillary sinuses.